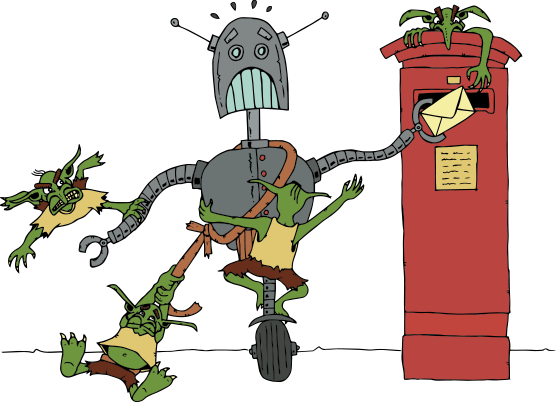 All copies of Gobblin’ Goblins have now been manufactured and are sailing across the ocean to merry ol’ England for fulfilment. They are due in port on April 19th and should be with me by the end of April. Provided there are no customs checks, you pre-orders and Kickstarter orders should be arriving between May 1st and May 14th. In the unlikely event the goblins are held at customs for examination this would delay things approx. 1-2 weeks. In which case we’d be looking at May 7th – May 28th for fulfilment. As always, the closer it gets to these dates the more I will know! I’ll keep you posted. I am very pleased and excited to announce there will be a Toon Hammer stand at UKGE this year! 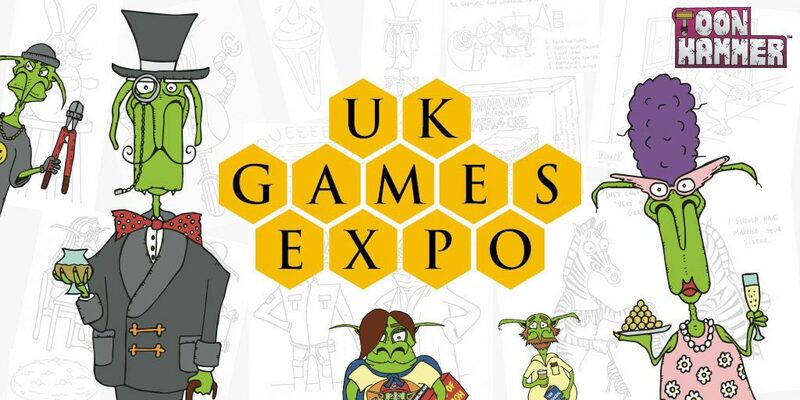 For those not in the know, UKGE is the biggest board games convention in the UK, taking place at Birmingham NEC between June 1st and June 3rd. If you’re lucky enough to be attending come and say hello! Keep an eye out for more info on where that stand is and the fun things we have planned over the course of that weekend. The written word is a beautiful thing but I’ve also been doing updates through the medium of video and audio. At the top of this post is the latest Toon Hammer Blah Blah Blah video with more on the updates above as well as some special mentions to some delightful peoples and things. I’d be eternally grateful to anyone hitting that subscribe button on the Youtube Channel or clicking like / follow on Toon Hammer Facebook or Twitter page. I’m already plotting future tabletop projects and following the social media accounts is the best way to get involved. That’s a wrap (a grotty, mouldy one with too much spinach).